It's awesome to imagine how nature manages bringing in so much of colours, that too with such a perfection. This becomes more evident from the plants and flowers which we see almost everywhere. Being a gardener, who loves flowery plants, I like bringing new flowering plants to my small gardening space. I have tried germinating seeds that I have sourced from the local plants nursery, plant/seed sellers to online gardening supplies stores, most of such experiments, miserably failed. I am not sure of the reason for these failures, but, then, most often the plants I managed to get from the seeds were the ones I myself got from actual plants. 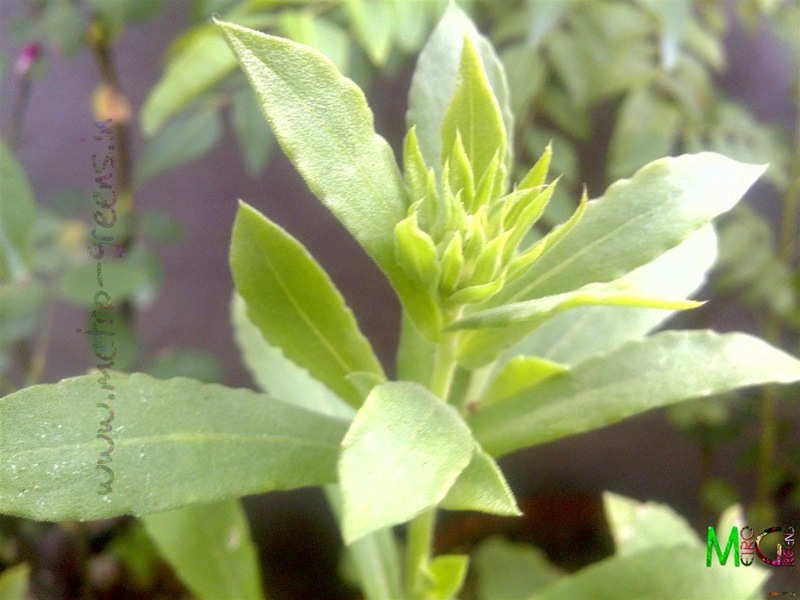 Gaillardias were among the first seeds I got from an online store, biocarve. The seeds failed to germinate, not just the gaillardia, but, all the four plants' seeds, including the vincas, ghazanias and asters. Maybe I didn't provide favourable conditions for the seeds to germinate, but, the jist is, I failed to grow plants from seeds, mostly. This year again, along with the cosmos saplings I brought from my trusted plants seller, I got a bunch of plants, that I casually planted in different pots. Though I didn't know what plant saplings I picked up, and I didn't bother asking the person there. Most of the plants died in the extreme rainless summers we faced this year, just two managed to live on. Out of these two, there's only one plant that has grown enough and is blooming. Only after it started blooming that I came to know what plant it was. 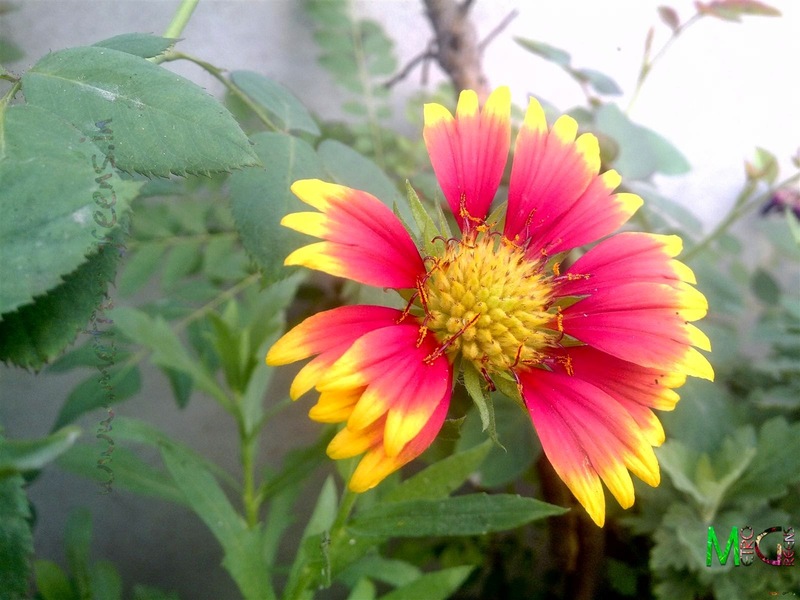 It turned out to be a gaillardia, the Sundance, also known as blanketflower or the Indian Blanketflower. This summer loving plant loves full sun and hot, dry conditions. Originally a native of Central United States, owing to its hardy nature, it managed to thrive throughout the world where it found favourable conditions. 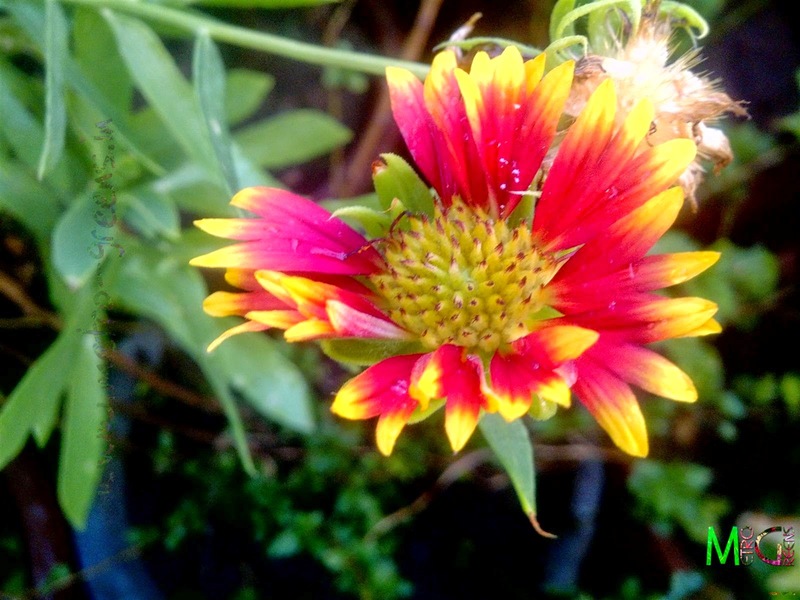 The variety, Gaillardia Pulchella, particularly a beautiful looking bloom with the flower being dark red and the florets of the blooms having yellow coloured edges which look contrasting, and thus attractive. 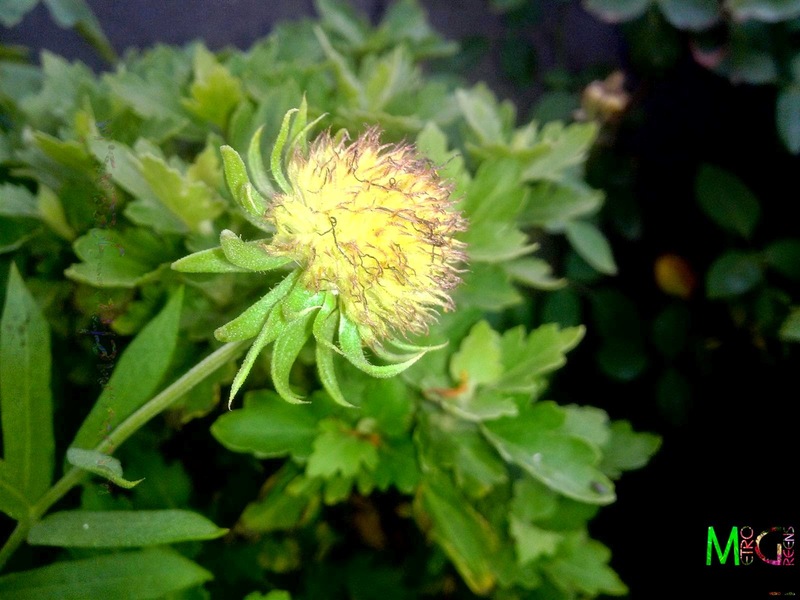 The beginning: A Gaillardia bud developing. The only plant which is blooming now is bearing these beautiful blooms, at a time when I have nothing but just some portulacas blooming, everyday, some hibiscus in the morning and the Jasminum molle a.k.a. 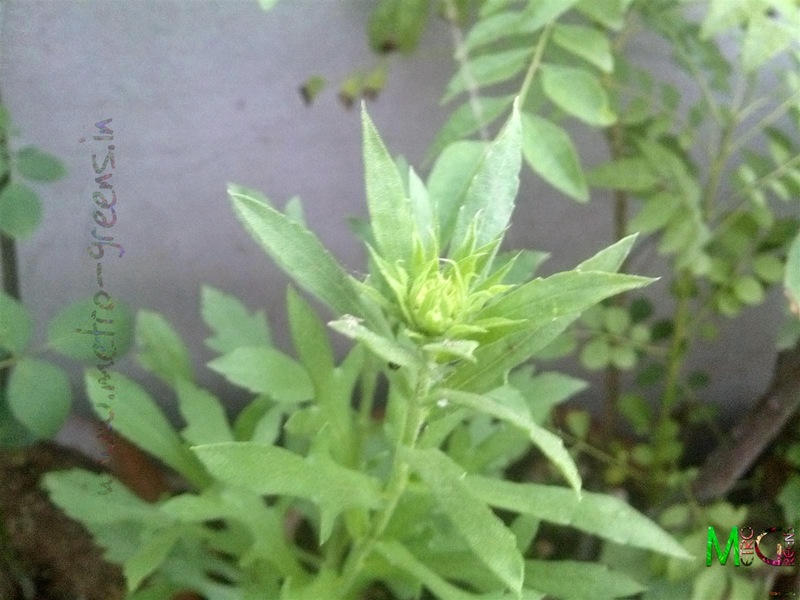 Juhi blooming in the evenings, on some days. So, it's a good addition to the garden at such a time. A dying bloom with withered away florets. This would go on to develop into seeds. 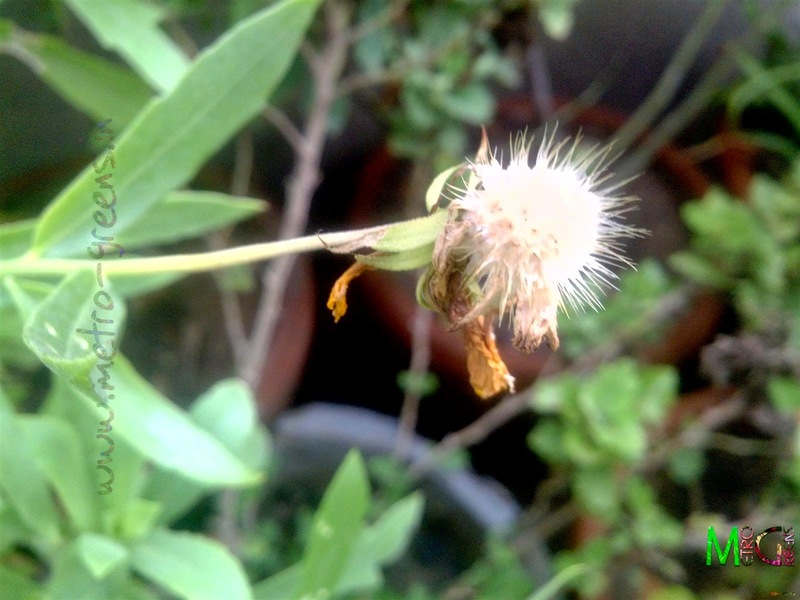 A dead bloom with withered away florets and seeds that have fallen off. This part can be removed now, letting the plant have more blooms. Upcoming posts will have some updates from the garden with new additions like the new stem of the Harshringar - Nyctanthes arbor-tristis, a night blooming jasmine tree, that bears very attractive looking white and orange blooms which have quite a great fragrance, that brought from the nearby park, one fine morning, after my morning walk, with the intention of growing a new plant of my own from the stems. Though, this activity took place a week ago, the stem, which I divided in two parts, are still green, thus keeping me hopeful that I might succeed in getting my own plants. More on that later, as I move forward in my gardening adventures, I'll keep you updated on this new member in my garden. I will be back with new contents in the coming weeks, till then, keep trying and HAPPY GARDENING!